Topaz Electric Conduit body cover of trade size 3/4-Inch, is suitable to use with Topaz and all other major brands conduit bodies. It has lightweight, corrosion-resistant aluminum construction. It measures 4.625-Inch x 1.52-Inch. 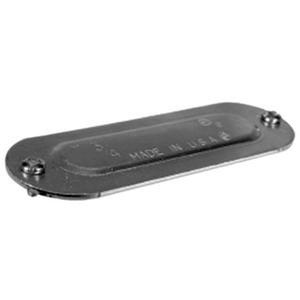 Screw mountable cover includes screws for secure installation. Conduit body cover is UL listed.